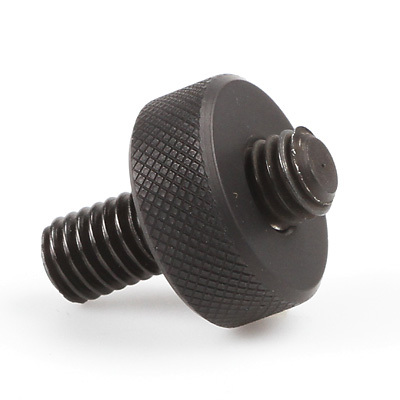 The CS-156 threading is fabricated from steel with a black zinc plating finish. The grip ring is fabricated from high grade aluminum with a anodized black finish. This rod adapter features a 3/8”16 thread on both ends. 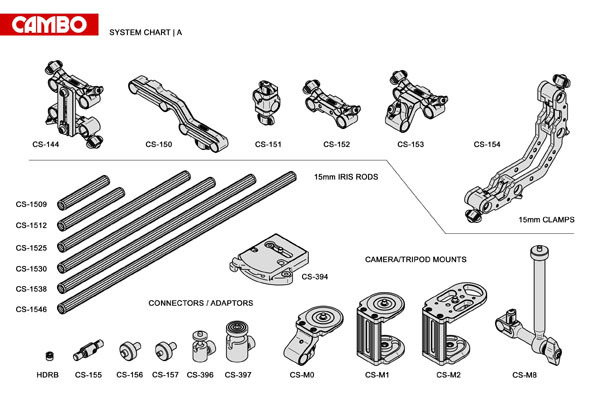 The CS-156 allows mounting a 3/8”16 featured accessory onto the CS-15 iris rods and the CS-H1 grip handle.